THE chair of the national infrastructure commission says £43 billion should be spent on local transport networks in areas to be served by HS2, so that the most can be made of the scheme. Former Network Rail chief executive Sir John Armitt said the money would be needed to avoid the possibility of ‘inadequate transport links’ connecting with the new line. The likely cost of all the planned phases varies according to the source, and also whether rolling stock is included, but one recent estimate by the Cabinet Office is reported to have suggested a total of £80 billion – without additional funding for related transport. The official total for HS2 itself is currently £56 billion. In an article in the Sunday Telegraph, Sir John said: “HS2 is the most significant investment in the capacity and connectivity of our transport networks for a generation or more. The potential impact could extend 100 years or more, and its upfront costs should be considered in that context. “But this also means we cannot simply construct a new high speed rail line and leave it at that: to get the biggest bang for our buck we need to think about the whole journey. “All this would mean the UK’s cities outside London receiving a £43 billion boost in funding up to 2040. He explained: “In July we published the UK’s first-ever National Infrastructure Assessment, looking at how to best meet the country’s infrastructure needs over the next three decades and across a range of sectors including transport, energy, digital technology, flood risk management, waste and water supplies. 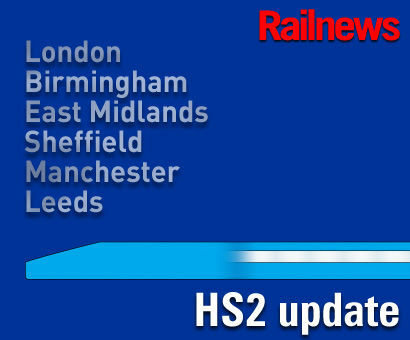 It includes support for Crossrail 2 increasing capacity between north and south London, but also for Northern Powerhouse Rail, which would improve links between HS2 and cities including Sheffield, Hull, Liverpool and Newcastle. Some transport schemes have already been associated with HS2, such as a proposed extension of the Nottingham tram system to Toton, which is the site of a projected hub station to serve the East Midlands. In a statement, the National Infrastructure Commission has since added: “We need to invest both in our intercity links and in urban networks which is why we have proposed devolving powers and funding to cities across the country helping to improve local transport connections.